Sir Jay Jay is starting to hit his finest form at the right time of the year with an impressive win last night. He settled mid-field in the early stages as they were in pursuit of leader Zipping Angus. 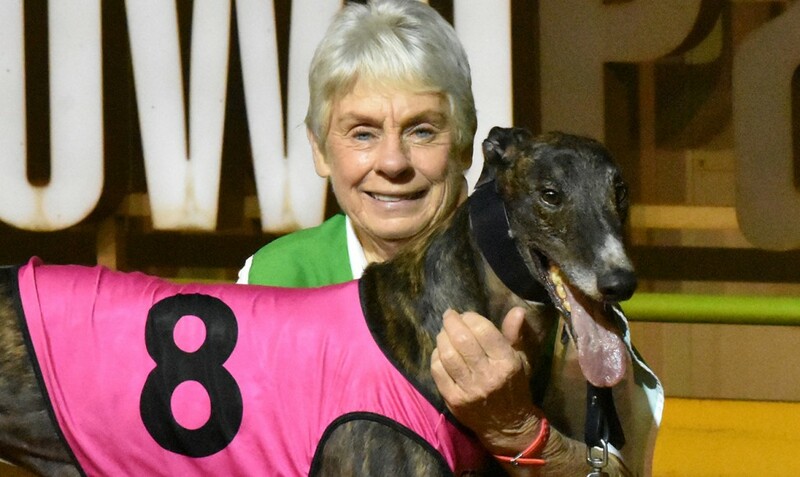 As Sir Jay Jay does he hooked to the outside of the track down the straight and swooped on the leaders late to win by ¾ of a length in 42.27. “I didn’t expect him to win, but I’ll take it!” said trainer Karen Leek post-race. It was his first run over 715m at Sandown Park since September last year. He had an injury over the new year period which forced Leek to carefully manage his racing agenda. “He hurt his accessory carpal (a bone in a greyhound’s foot) and I didn’t really want to get him back over the longer trips too quick. That’s why I took him to Cranbourne over the ‘520’ and then a couple of ‘595’s here. We then went to The Meadows because it was probably the easier run at the time. Sir Jay Jay’s racing style is unique yet entertaining, he’s often slow to begin before winding up late wide on the track. “He’s a funny dog, he’s out there but easy to train. If he gets too far back in his races he can’t make up the gap and that’s what happened at Bendigo last start. With these genuine stayers, they’re not as quick early so he’s able to keep in touch with them. Sir Jay Jay was runner-up to Burn One Down in last September’s Speed Star over 715m. The next edition of the concept is set for May 10 and Leek hopes Sir Jay Jay can compete in the series. The RSN927 Sandown Cup will be run on Thursday May 24, with the heats the Thursday prior.